We’re less than a week away from Fat Tuesday, so why not whip up a Cajun favorite in celebration of Mardi Gras?! Certainly, there are plenty of culinary traditions to choose from, but when a sandwich is an option, you can bet I’m picking the sandwich. 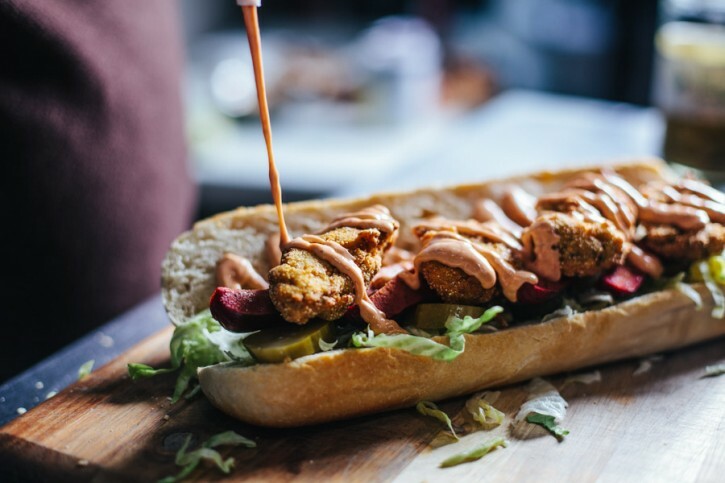 The Po’ Boy is a classic with so many variations that it’s hard to choose just one. That’s how we ended up with the Fried Oyster AND Hot Link Po’ Boy! And the beauty is, by utilizing the versatility of the Napoleon Prestige, you can do it all on the grill. And we did. Building the components. 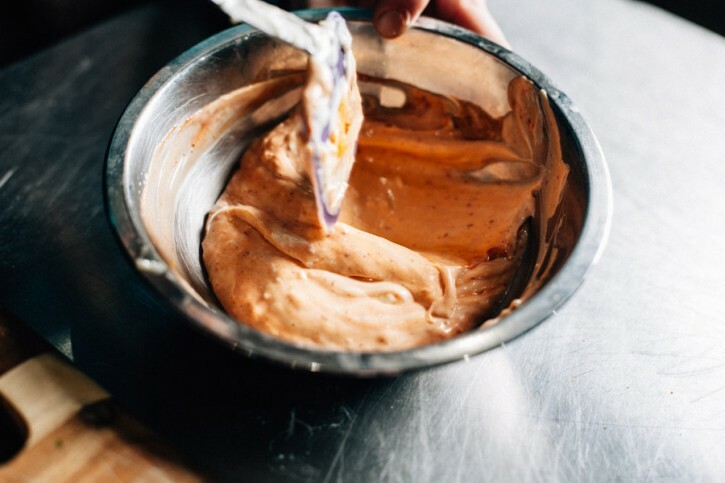 This Cayenne Aioli is icing on the cajun cake! Grab some shucked oysters from the local sea food shop and save yourself a headache. Season liberally! 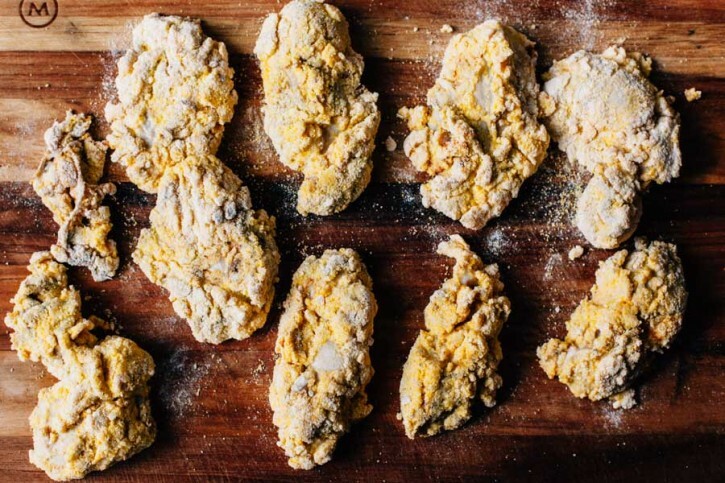 Using buttermilk as a part of the breading process adds richness and makes for a great texture. All breaded up and ready to go! 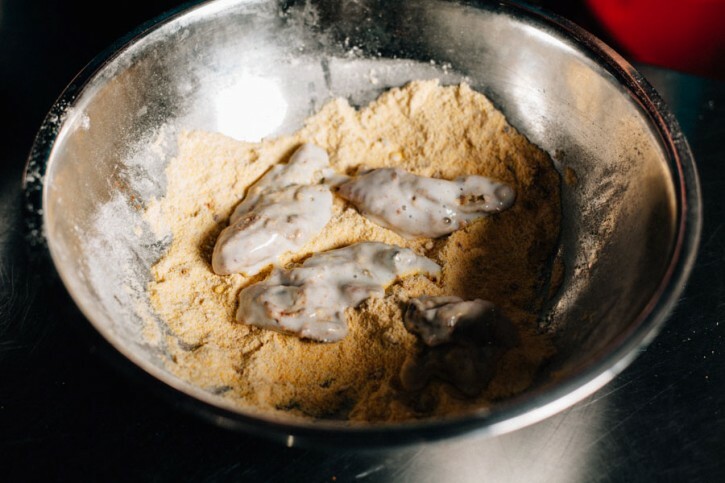 At 350ºF frying temperature, these tender oysters go quick, so keep an eye on them. 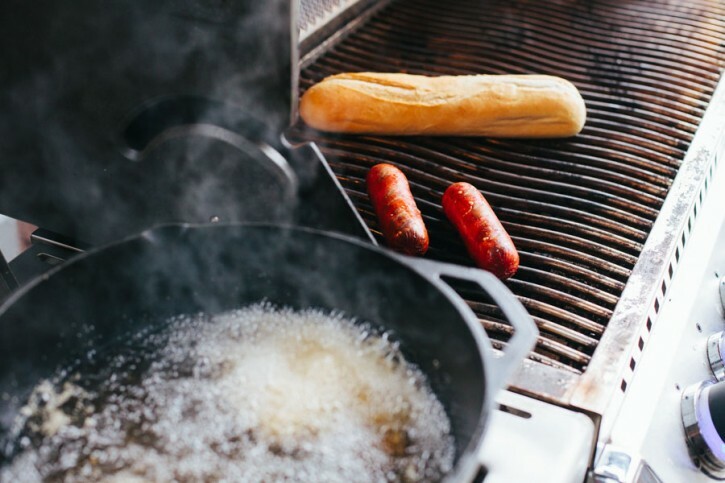 Preheat a Lodge Logic 7 Quart Dutch Oven filled with 2” vegetable oil over the side burner of your gas grill. Using a Maverick PT-100 digital thermometer, monitor the temperature of the oil. You’re shooting for 350ºF. When you get to that temperature, make sure to turn the heat down to maintain the 350ºF temperature. Also, preheat the main cooking chamber, medium-high heat. We’re cooking the entire recipe on a Napoleon Prestige Pro 665. Combine the aioli ingredients. Mix well with a spatula. Store in the refrigerator. Season the oysters liberally with Code 3 Spices Sea Dog Rub. Combine the corn meal and flour in one bowl and pour the buttermilk in another. 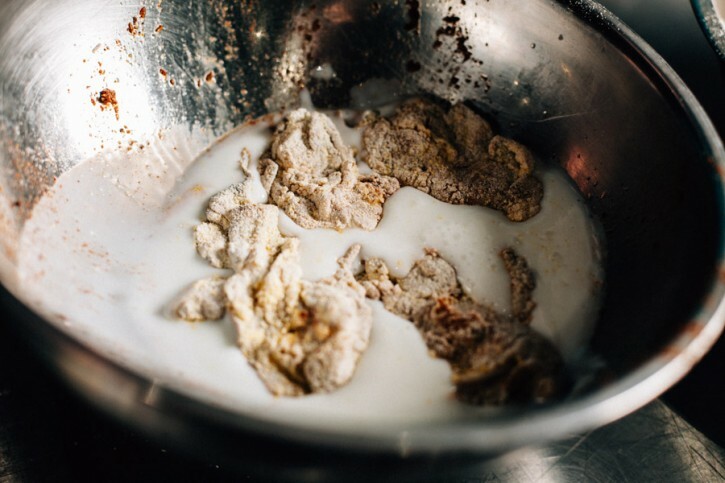 Toss the oysters in the corn meal mixture, then dunk in the buttermilk, then coat with the corn meal mixture again. Place your hot link(s) on the grates in the main cooking chamber. Grill to an internal temperature of 165ºF. 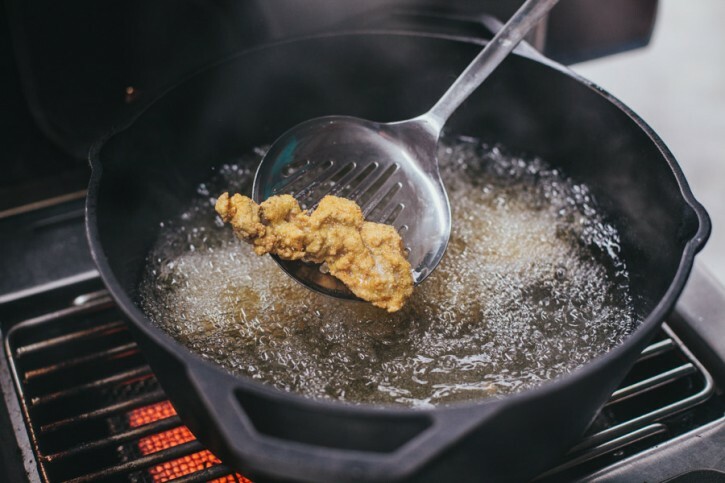 While the hot links are grilling, place half of your breaded oysters in the dutch oven. Fry just until golden brown, about 3 minutes. 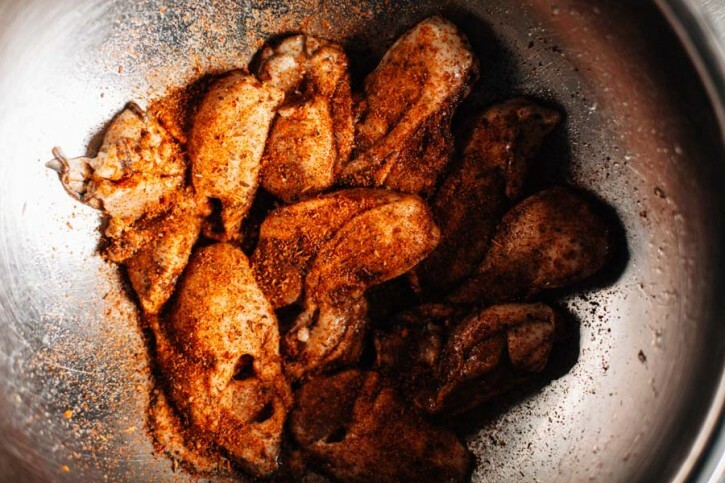 Carefully remove from the oil and place on a paper towel lined plate. Sprinkle with a little salt. Repeat with the other half of the oysters. Slice the cooked hot link into quarters, lengthwise, for large link, or in half for smaller links. Build your sandwich. Start with a bed of shredded iceberg lettuce, topped with pickles. 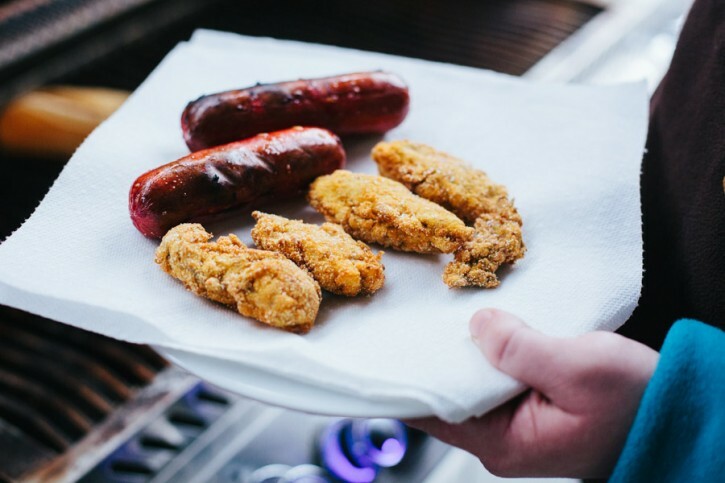 Lay the hot links over the veggies, and the oysters over the hot links. Top with the aioli.